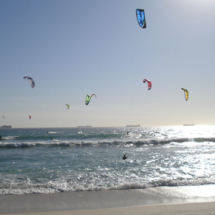 Jeffrey's Bay is known as a surfer’s paradise and with its temperate climate it is a year round destination for travelers from all over the world. 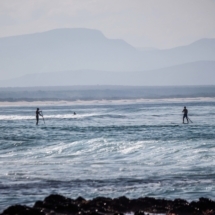 Besides its pristine beaches, legendary surf breaks and classic reefs, Jeffrey's Bay is also home to nature reserves and rivers, making it a nature-lovers paradise with many beautiful hiking, walking trails and water activities including kayaking, fishing and snorkeling. 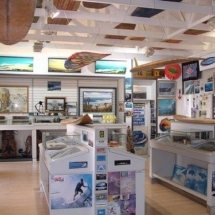 The town boasts a thriving local craft industry, numerous surf shops that support local and international brands , a variety of restaurants and coffee shops. 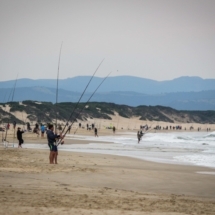 Jeffrey's bay and its surrounding areas provide excellent fishing for a variety of species. 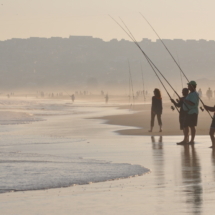 Fish from the beach or rocks or book a fishing charter. 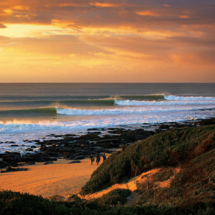 Jeffrey's Bay is one of the world's top five surfing destinations. 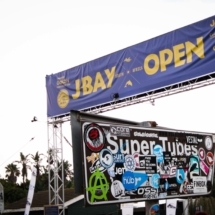 Its famous 'break' is regarded as one of the best right hand point breaks in both consistency and quality and has been divided up into several sections, including, from the top of the point, Kitchen Windows, Magna tubes, Boneyards, Supertubes, Impossibles, Tubes, the Point, and Albatross. 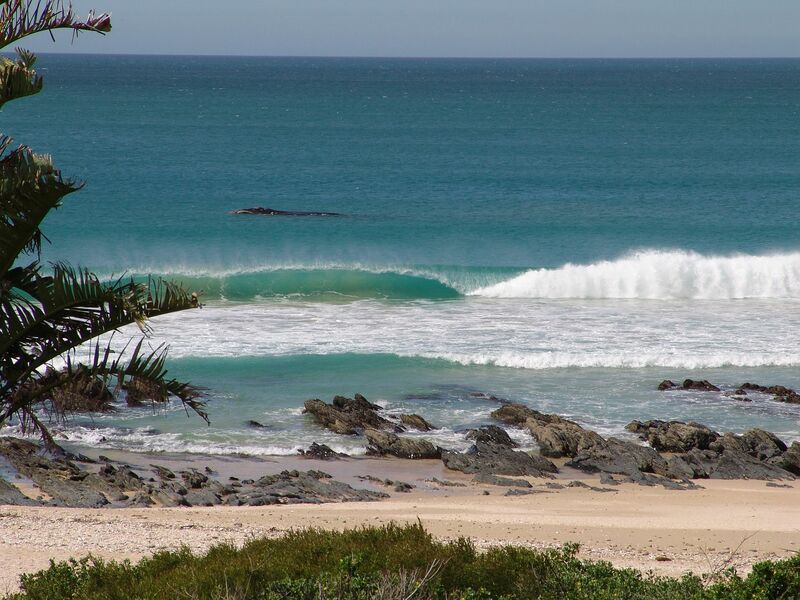 Jeffrey's Bay Main Beach excellent conditions for beginners with perfect waves, no rocks, decent sandbanks close to the shore . 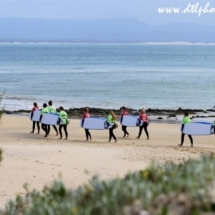 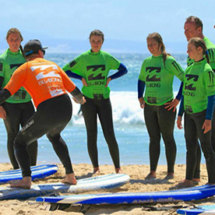 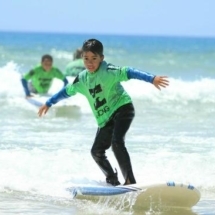 A number of surf schools offer lessons to all levels of surfers. 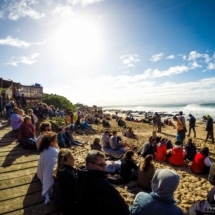 The J-Bay Open also known as the Winter fest is an event on the World Surf League and is hosted annually in July. 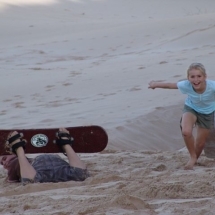 If you can stand, you can sand board! 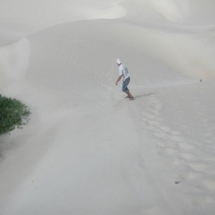 The beaches around Jeffrey's Bay have some of the biggest and most spectacular dunes in South Africa. 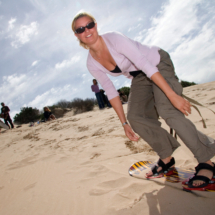 Sand boarding is very similar to snowboarding; it is fast, fun and easy to learn. 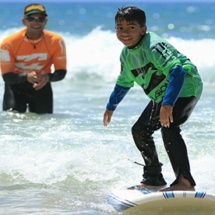 Stand Up Paddling or SUP is fun family activity which you can do in the ocean or on one of the lagoons or estuaries.You can rent SUPs or go for SUP Lessons. 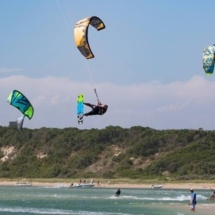 Kite-boarding or kite surfing mixes windsurfing, wake boarding and surfing with the aerial possibilities of paragliding. 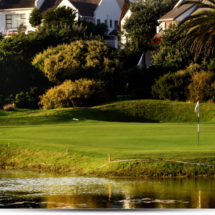 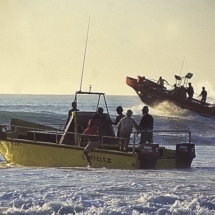 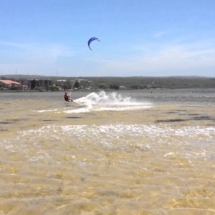 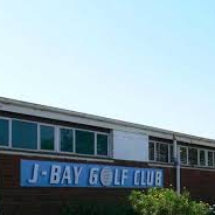 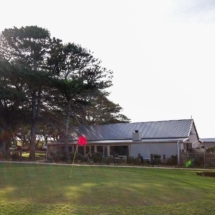 Lessons and all equipment are available from a number of adventure companies in Jeffrey's Bay. 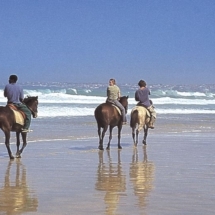 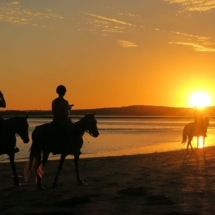 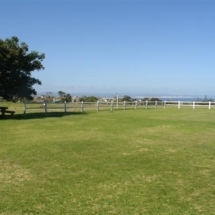 The Papiesfontein Beach Horse Ride experience covers a distance of about 13 km and takes between two - three hours to complete. 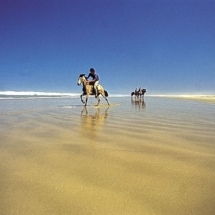 Almost half of the distance comprises an open stretch that is best enjoyed at a gallop. 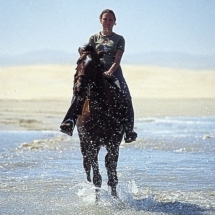 Horses are well-trained, friendly and obedient.